Proper lighting can elevate your mood and make your home a most inviting place for your family and guests. For example, the ambient light emitted by pendants and chandeliers have the power to heighten drama in a room especially when used with the proper dimmer switch. Additionally, the decorative importance of lighting should not be overlooked. Imagine a stately procession of glass pendants leading your guests through your foyer to their destination. They arrive in your living room, greeted by the understated elegance of a candlestick floor lamp. The warm glow invites them to relax on a sofa too enticing to ignore. On rainy days, your favorite chair provides you with a comfy, lighted place to read your favorite book, courtesy of your new, stylish table lamp. Lighting has the power to relax or envelop us in its warm embrace. At bassettfurniture.com, you’ll find lamps, pendants and more, each chosen by our design team for its beauty, functionality, and value. Visit a Bassett showroom near you or shop online to find floor lamps, table lamps and ambient lighting that lifts your mood and adds a style and sophistication to your home. 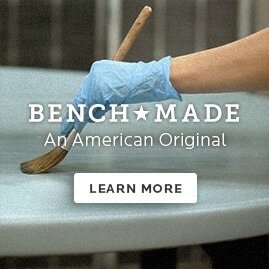 Shop bassettfurniture.com and learn why we’re the preeminent name in fine furniture and have been for more than 100 years.